This 16pc Cherrish Dinner Set is carefully crafted by our expert craftsmen with the help of sophisticated technology under the direction of our expert professionals as per the set industrial norms. It is ideal for gifting purposes and for serving food at special occasions and traditional ceremonies. These dinner sets bring a touch of romance and subtle sophistication to table and praised for their unique features like crack resistant, contemporary design and catchy colors. 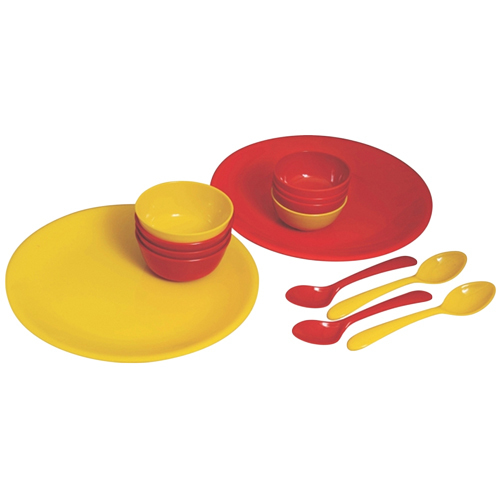 Our offered 16pc Cherrish Dinner Set is available in various specifications, which can be customized as per the demands of our valued customers.